Just as there are many different symptoms associated with Irritable Bowel Syndrome, there are many different types of treatment available to relieve those varied symptoms. Although the majority of Irritable Bowel Syndrome (IBS) suffers do not seek treatment, there are medications, diet changes and lifestyle changes that can produce improvement in the disorder. Doctors can prescribe medications for the relief of certain IBS symptoms like diarrhoea, constipation, abdominal pain and intestinal spasms. Fibre supplements, laxatives or prescription pills can be recommended to alleviate constipation. 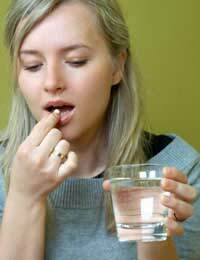 Over-the-counter preparations and prescription pills can be given to stop the symptom of diarrhoea. To relieve the symptoms of severe abdominal pain and intestinal spasms doctors can prescribe antispasmodic medication or medication intended to relax the muscles of the abdomen and intestines. Sometimes, when turning to medications to treat IBS, doctors can prescribe antidepressants or anti-anxiety medications. These medications are used to relieve the symptoms of Irritable Bowel Syndrome that are associated with increased stress or nervousness. However, because these medications can cause constipation and because they can sometimes be habit forming, this treatment option is usually used as a last resort. Before a doctor prescribes medication treatment for IBS, he or she usually guides the patient through some dietary changes to relieve the most bothersome symptoms. Individuals with IBS should avoid caffeine since the substance can produce increased intestinal spasms, limit their intake of fatty foods and limit their intake of dairy products and sugar-laden fruit. These individuals are also encouraged to increase the fibre in their diet if they frequently suffer from constipation and avoid vegetables like broccoli, beans and cabbage if they suffer from cramping, bloating and gas. People with Irritable Bowel Syndrome are also cautioned against the use of artificial sweeteners, especially those found in diet colas, because the substance can be irritating to the digestive system. Since episodes of extreme stress have been shown to trigger the symptoms of Irritable Bowel Syndrome in some individuals many doctors recommend a few lifestyle changes for faster, more consistent relief. Regular exercise is often encouraged to help relieve stress, reduce tension in the body and increase overall health. Meditation and stress management is also prescribed to further relieve tension and help decrease the occurrence of intestinal spasms and contractions. Other lifestyle changes that can help improve the symptoms of IBS include limiting your intake of alcohol, quitting smoking and keeping a symptom diary. The symptom diary, if used daily and correctly, can help you track your symptoms and recognise your IBS symptom triggers. With this information you and your doctor can further tailor your treatment to fit your individual needs. When seeking treatment for Irritable Bowel Syndrome it is important to remember that each individual may experience different symptoms or a different severity of symptoms and that not all individuals will respond the same way to the same treatment. Some treatments or medications may not produce the desired results for your symptoms even if they work wonderfully for someone else. For real relief from your symptoms it is important to stick with the treatment plan prescribed by your doctor and remain patient until you find the exact treatment that works best for you and your symptoms. And, since IBS is a chronic (long-term) disorder that currently has no known cure, you will likely need to follow this treatment plan for years. For the best results be sure to follow the plan exactly and report any changes to your doctor as soon as possible. By taking the above steps, working closely with your doctor and adhering accurately to your individual treatment plan, you can find relief from your symptoms and enjoy the activities that you love.